Members of the Victoria Rotary Club presented a $3,000 donation to Hopkins Elementary to assist with roof repairs in the campus library. 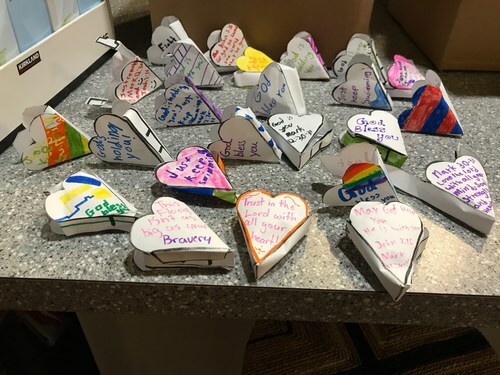 What AMAZING community members we have! This weekend, Brentwood Elementary in Austin, Texas, collected items for elementary school students and their families! 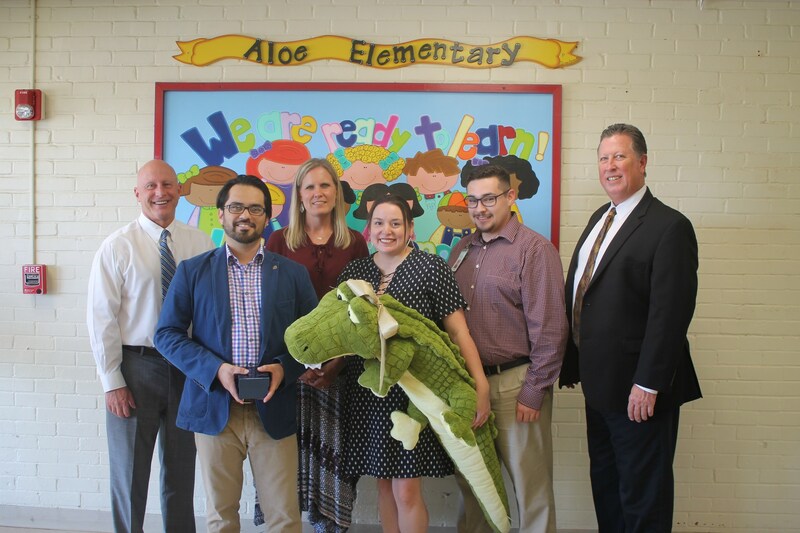 This effort was led by Mrs. Angela Morton parent of a kindergarten student attending Brentwood Elementary. She shared these items with her sister in Victoria and that led to a drive to collect items in the Woodway neighborhood. This drive was led by Dr. Ryan and Leslie Mikus. 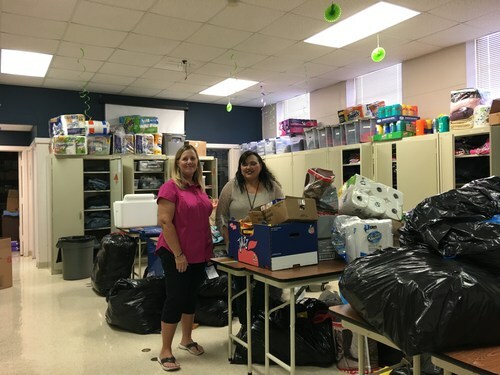 They collected a truck load of items including food, cleaning items, clothing, backpacks, bedding and school supplies along with $260 dollars to be used to assist students and their families. VISD received a van and a small trailer load of school supplies, cleaning supplies and water from San Angelo ISD and San Angelo HEB. These items were distributed to F.W. Gross and Guadalupe. 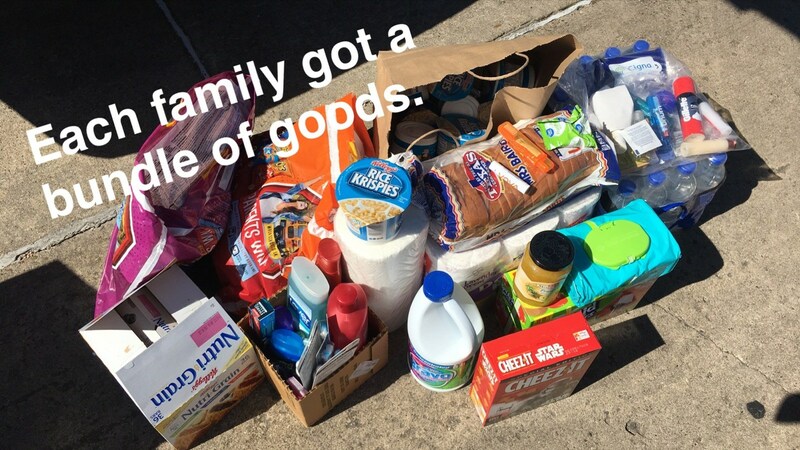 Catie Wiekenhoffer, our fabulous radKIDS instructor, and contact helped to collect these items and drove them herself from San Angelo. 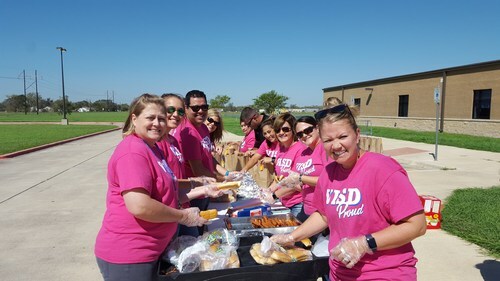 Today Torres held a drive thru hot dog lunch for our school families and local community members. 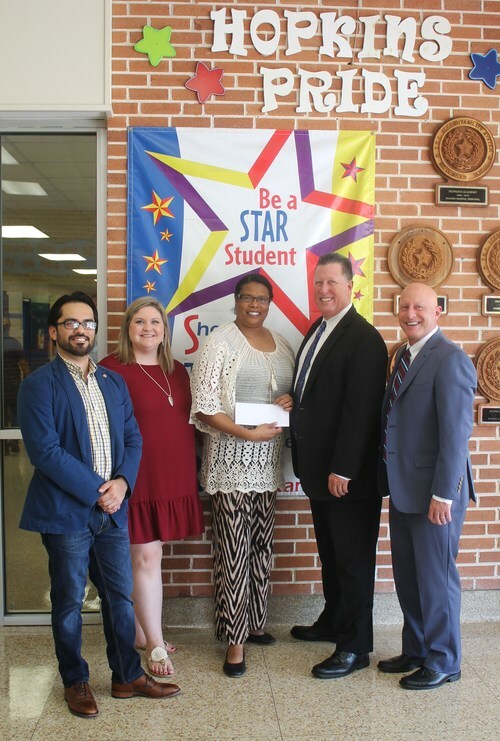 We even expanded our program as a "meals on wheels", and sent teams of teachers out to our neighborhoods to provide meals for those unable to leave home due to transportation issues. All the food/drinks were donated, along with BBQ pit, ice, & charcoal, and we had many wonderful volunteers help cook/prepare bags. Our school was able to provide lunch to restoration crews who have been working in the building. We were also able to provide afternoon snack for 120 Boys and Girls Club members. The Victoria ISD will be applying for a waiver of the 10 lost instructional days and we will be making an adjustment to our 2017-2018 academic school calendar. Currently, Monday September 18th is a District staff development day. September 18th will now serve as an instructional day and all VISD students will be required to report to school. The boil water notice for Victoria has been lifted! Tips for flushing your plumbing system and the official "boil notice rescinded" statement are below. Fundamentally, what you will be doing after any drinking water boil is flushing your plumbing system and cleaning or replacing anything that has come into contact with water. First flush hot water faucets for fifteen minutes, and cold water faucets for five minutes or until it feels cold. Flush your refrigerator filter for a least a quart of water, or change the filter. Ice cubes from refrigerators: automatic ice dispensers should be emptied of ice made during the boil order and run through a 24-hour cycle, discarding the ice to assure purging of the icemaker water supply line. Run your dishwasher empty for a full cycle. Regenerate Your Water Softener manually. Clean then flush every toilet with a quick flush. On August 26, 2017, the Texas Commission on Environmental Quality required the City of Victoria public water system, TX2350002, to issue a Boil Water Notice to inform customers, individuals, or employees that due to conditions which occurred recently in the public water system, the water from this public water system was required to be boiled prior to use for drinking water or human consumption purposes. The public water system has taken the necessary corrective actions to restore the quality of the water distributed by this public water system used for drinking water or human consumption purposes and has provided TCEQ with laboratory test results that indicate that the water no longer requires boiling prior to use as of September 6, 2017. If you have questions concerning this matter, you may contact the Victoria City/County Emergency Operations Center Hotline at 361-580-5796. There will be games this week for high school football and volleyball. 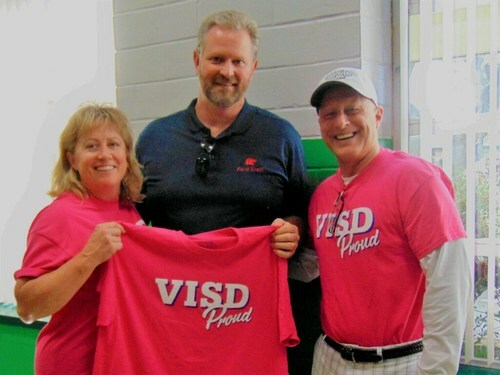 Entry for ALL VISD HOME GAMES will be FREE this week! So come out and show your school spirit! 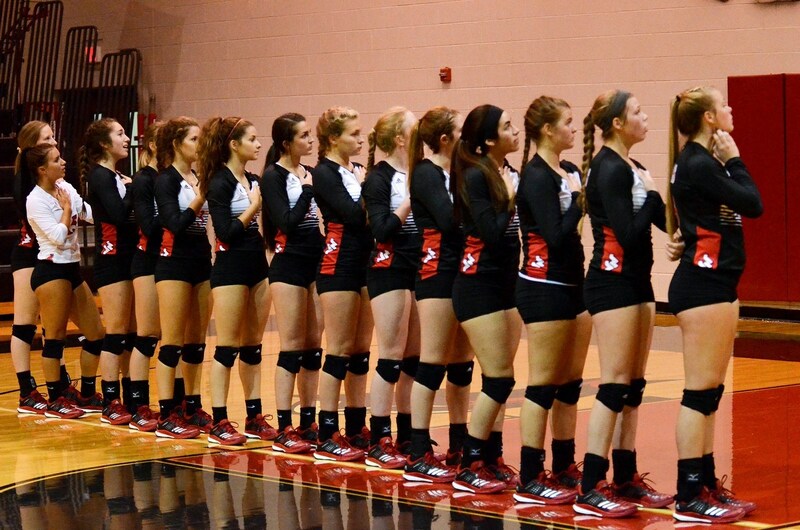 Victoria West Volleyball vs. Industrial (home), Tuesday, 5pm & 6pm AND Friday vs. Angelton, 5pm & 6pm for their district opener. Victoria East & West Cross Country will be competing in Beeville this Saturday. Thanks to the donations students from Ford Middle School (Allen ISD), O'Connor Elementary will be hosting a Parking Lot Picnic, Tuesday, 9/5, 10am-5pm. Food, drinks, supplies, bottled water, personal care items, and non perishables will be available! The VISD Special Education Department has partnered with Southeast Christian School from Parker, Colorado to provide relief efforts to VISD. Stop by to pick up a few essential items and enjoy a chili dog meal. 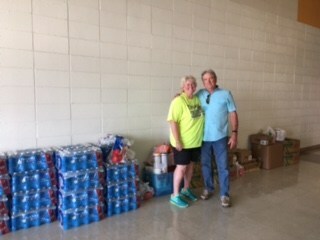 A special shout out to Crest Exteriors, LLC Storm Team for jumping in and providing cold drinks and food items! Thank you Michelle Michaelsen Davis, Brooke Smith, Dudley Staff, Michelle Goebel and our awesome Special Education Department. We are #VISDProud! Better Together -- Making a difference for our community! There have been several questions in regards to our students having to make up the school days they have lost during this disaster. The Texas Education Code requires districts to provide a minimum of 75,600 instructional minutes each school year. The Victoria ISD's calendar exceeds this requirement. The Commissioner of Education has authorized for Victoria ISD to qualify for Missed School Day Waivers for any days missed due to Hurricane Harvey. The waiver applies to 420 instructional minutes for each day missed. Once Victoria ISD has applied for the waivers for the days missed due to this natural disaster and has notification of approval, administration will look at the remaining hours in the calendar to determine whether any of the days will need to be made up.